Nightly Wisdom mines a rich vein of Buddhist teachings on such topics as lucid dreaming, Tibetan "dream yoga" - the art of extending meditation into the boundless world of dreams - and relaxing into restful sleep. In addition to inspiration and encouragement, you'll find here simple practices for transforming your sleep into something that's beneficial in entirely new ways, as well as practices for greeting each morning with fresh eyes and an open heart. 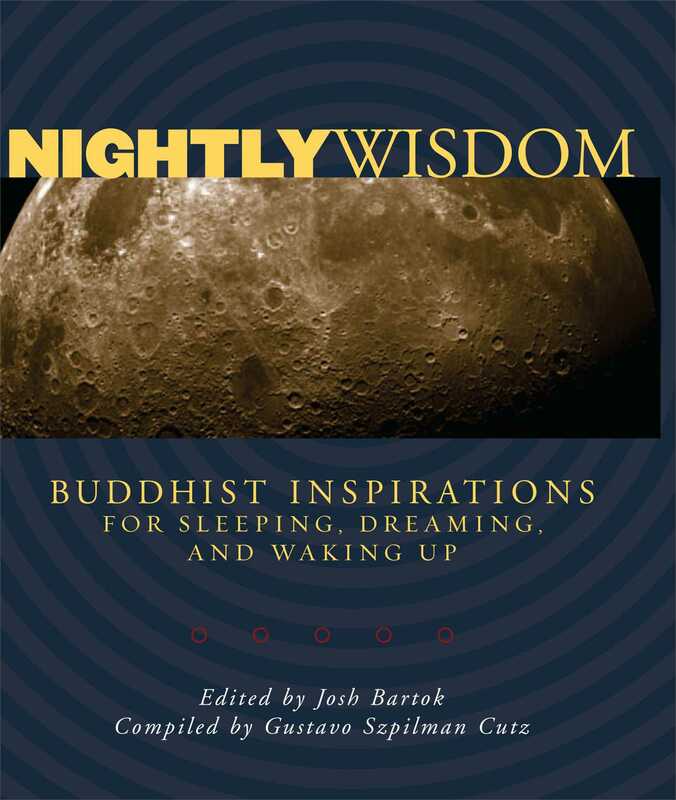 Featuring poetry and prose from sources modern and ancient (including the Buddha himself), Nightly Wisdom is a bedside keepsake, perfect for anyone who has wants to wake up to the entirety of life or bring fresh wisdom into that third of our lives we spend in bed. "A collection of 200 pithy sayings and reflections on various aspects of Buddhist teachings. In addition to inspiration and encouragement, Bartok has compiled simple practices for transforming your sleep into something that's beneficial in new ways." "We spend about a third of our lives in sleep. This little nightstand companion taps into lucid dreaming and dream yoga (taking meditation into the dream state). Ancient and contemporary teachers offer paths to mindful and restful sleep and inspiration for the day to come. The book includes writing, poetry and quotations from the historical Buddha Shakyamuni and Padmasambhava, plus contemporary teachers such as B. Alan Wallace, Barry Magid, Ezra Bayda and Ajahn Brahm."